Never Enough Nails: I Try My Hand At Dotting with Born Pretty Store's Dotting Tools! I Try My Hand At Dotting with Born Pretty Store's Dotting Tools! 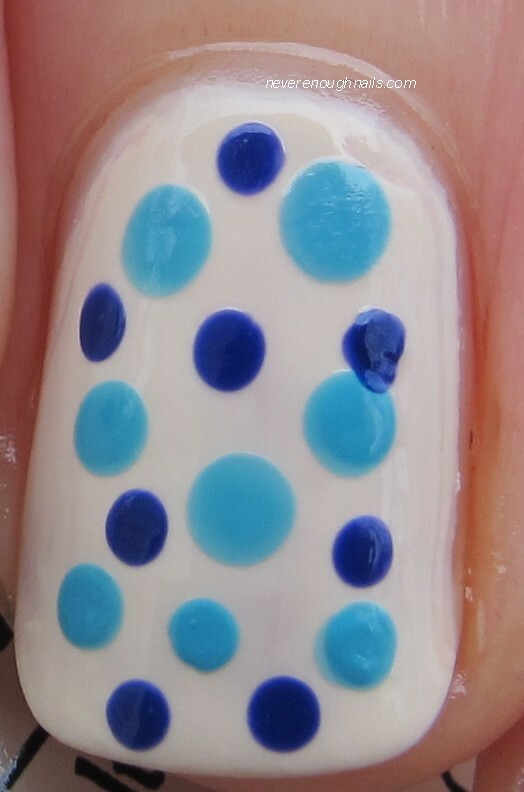 I finally tried a dot manicure and I totally see why people do it all the time!!! Those freakin' dots are so dang cute! 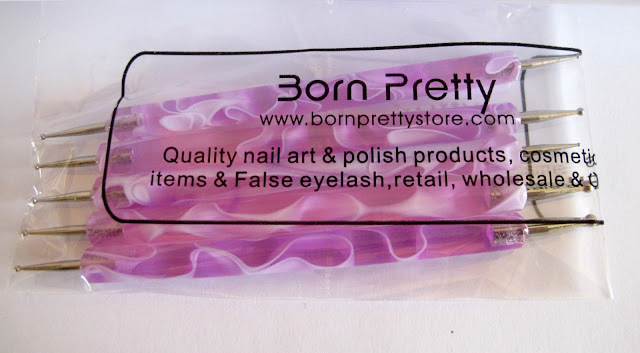 Born Pretty Store sent me this fabulous package of 5 double-ended dotting tools. This set has an excellent selection of 10 dot sizes, ranging from one that was probably too large for my tiny nail beds, to a teeny pinprick size dot. 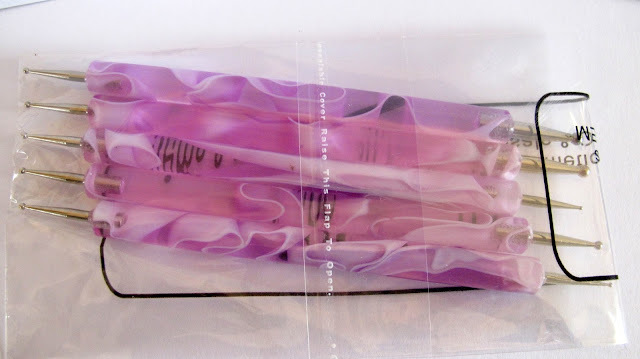 The handles of the tools are a pretty marbleized pink and white design, so if your nail tools are left lying around, at least these look nice! I found these dotting tools to be a perfect size for me to hold and feel like I had complete control over the tool. I am also really pleased with the size selection here and I will never need to purchase another dotting tool in my life! I wanted to try these tools out first using three of the polishes from OPI's spring Euro Centrale collection (swatches here and here). My base is three coats of OPI My Vampire Is Buff, and the dots are OPI Can't Find My Czechbook and OPI... Eurso Euro. I see a few mistakes in my dotting here, but it was the first time I've ever attempting a dot mani, so I'm pretty pleased with how it turned out! If you're looking for dotting tools, I definitely recommend this set from Born Pretty Store, my favorite place for nail art. Aside from the practicality of the tools, the price is right! This set of 10 different sized dots is only $4.74! You can also get 10% off of your order with the code "ERJ61"!